Buy The Collective Blog a Coffee. ko-fi.com/thecollectiveblog - Ko-fi ❤️ Where creators get paid by fans, with a 'Buy Me a Coffee' button. Hullo! We're a multi-fandom blog that covers all aspects of nerd culture, including conventions. If you would like to support our future coverage, any donations will be used toward convention attendance costs, press opportunities, and fun interactive projects (like scavenger hunts!). Cheers! Welcome to the Collective's Ko-Fi page! As writers, cosplayers, and addicts of nerd culture, we find ourselves in continuous need of caffeination. If you like what we do, buy us a cuppa! Secured Payments. 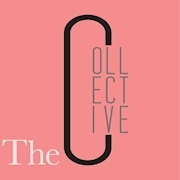 Support goes to The Collective Blog's account. Upgrade The Collective Blog to a yearly Gold Membership with a one-time payment.